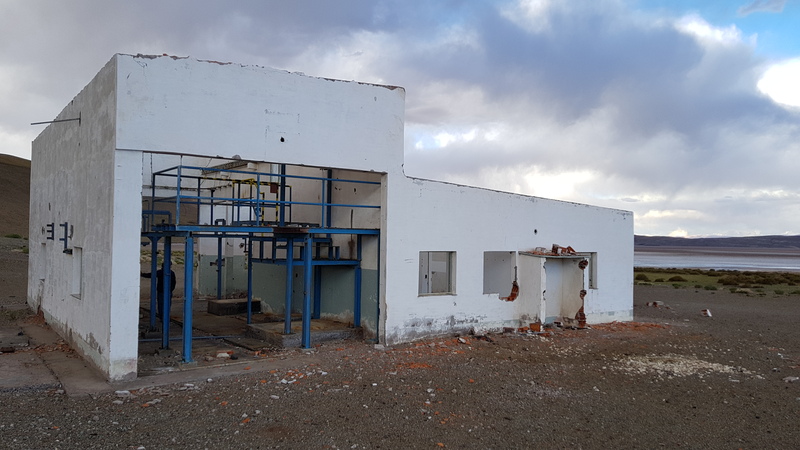 Galan Lithium Ltd is a lithium exploration company with the rights to earn 100% interests in projects located in the world class Lithium Triangle region in Argentina. 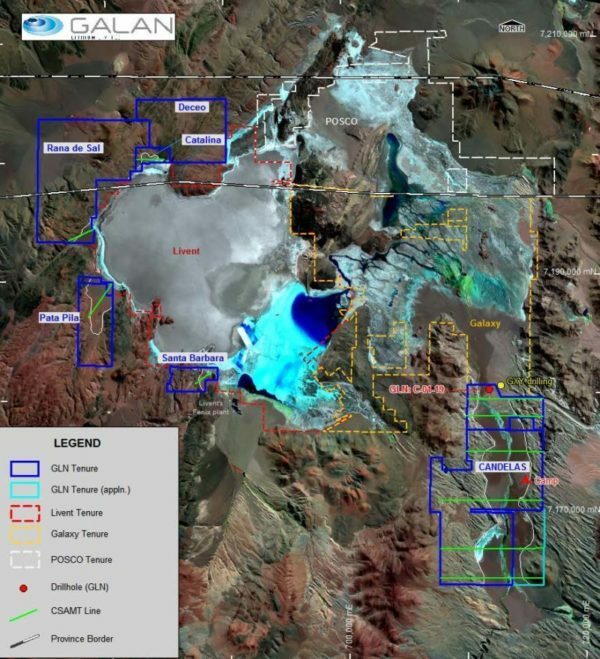 Projects located in the Hombre Muerto Salt flat, adjacent to Galaxy Resources (mkt cap; A$830m) and Livent Corporation (ex-FMC Corp., NYSE listed) (mkt cap; ~US$2.6bn). POSCO (mkt cap. 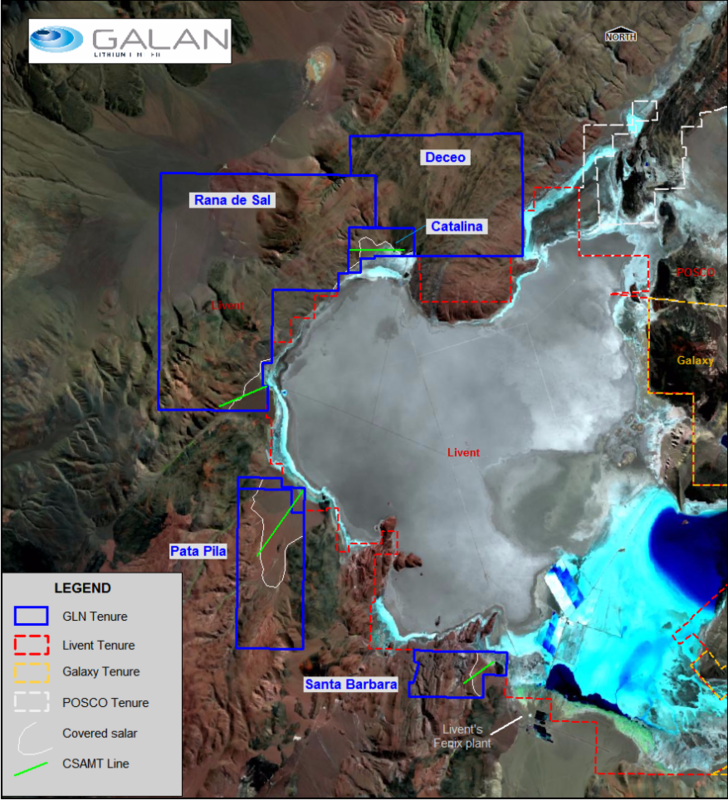 A$27bn) is a new entrant subject to part sale of GXY’s Sal de Vida project. 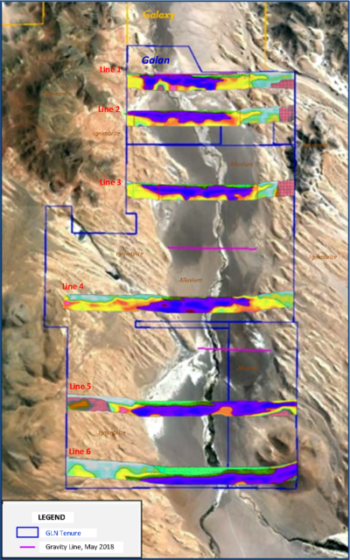 The Hombre Muerto Salar is the premier lithium brine basin in Argentina – high grade, low impurities, (Li:Mg <4) with Livent’s El Fenix operation has been in production for over 20 years. 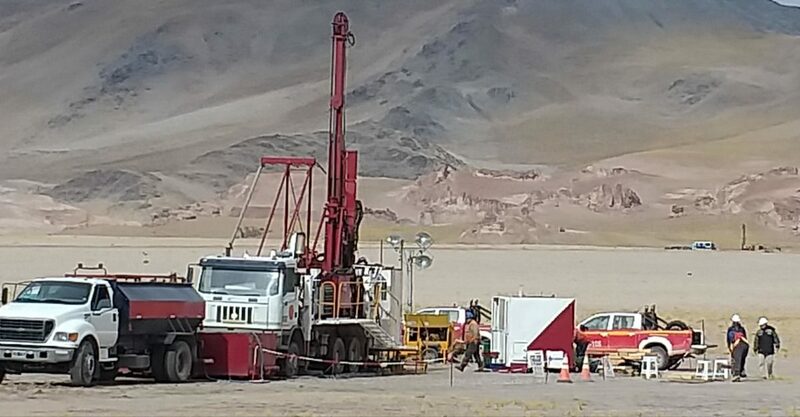 Targeting fast tracking to exploration with a potential resource estimate targeted for Q3 2019, following the successful maiden drilling campaign by Galan whereby substantial high grade, low impurity lithium bearing brine were discovered.